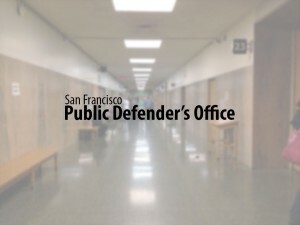 San Francisco, CA — For her three decades of advocating for children in the juvenile justice system, Deputy Public Defender Patricia Lee has been selected by the Center for Young Women’s Development (CYWD) as a 2013 Cheyenne Bell award winner. The Cheyenne Bell awards, named in memory of the former director of community programs in San Francisco’s juvenile hall, honor “unsung heroes leading a legacy of sisterhood, self-determination, social justice and spirituality,” according to CYWD. Lee, the managing attorney of the San Francisco Public Defender’s Juvenile Unit, is among three Cheyenne Bell winners who will be honored at CYWD’s 20th Anniversary celebration on Saturday, Sept. 21 at San Francisco’s Concordia-Argonaut club. The event runs from 6-9 p.m. For ticket information, please visit cywd.org. Other Cheyenne Bell winners are Karen Moore, advocate for youth in the justice system and Kriztina Palone, director of the Mayor’s Office of Neighborhood Services. In addition to her role with the San Francisco Public Defender, Lee served as CYWD’s first Board Chair, noted the Center’s Executive Director Marlene Sanchez. San Francisco Public Defender Jeff Adachi said Lee transformed the city’s juvenile justice system from one that routinely sent youth to state facilities to one in which it is exceedingly rare to see state commitments. “Patricia’s strategies, which include intervention by social workers and offering young people meaningful treatment, have become a model for the rest of California,” Adachi said. Lee said she was honored to receive the award, particularly since Cheyenne Bell was a beloved colleague. Both women worked with CYWD to bring rehabilitative services to girls in the juvenile justice system, a group that had been historically overlooked.